Warning: Experiment 626 has landed on Planet Earth! The escaped alien has emerged from his crashed spaceship and is ready to gleefully wreak havoc. Though he won't find large cities to destroy, Stitch will soon find greater purpose with his Ohana. 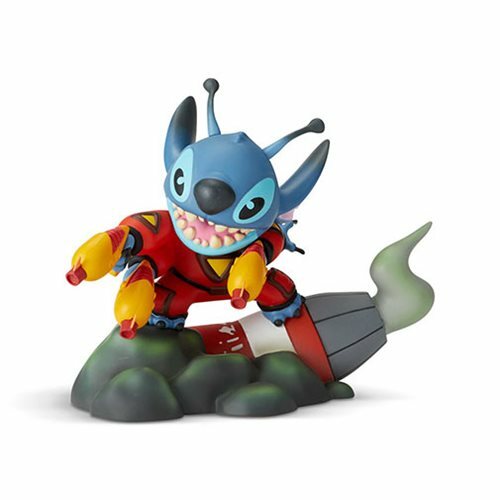 The Lilo & Stitch Stitch Grand Jester Studios Vinyl Figure is a must have for fans of the hit Disney movie. Measures about 8 3/4-inches long x 7 1/4-inches tall x 6-inches wide.